Two men were taken to hospital after a police car was involved in a crash in Halifax last night. 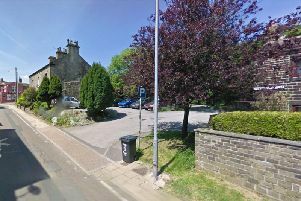 Huddersfield Road was closed for more than an hour after the police car was hit from behind by a Nissan Juke at around 7pm on Friday June 5. The two drivers were taken to hospital with whiplash-type injuries, the driver of the police car was kept in overnight for observation.